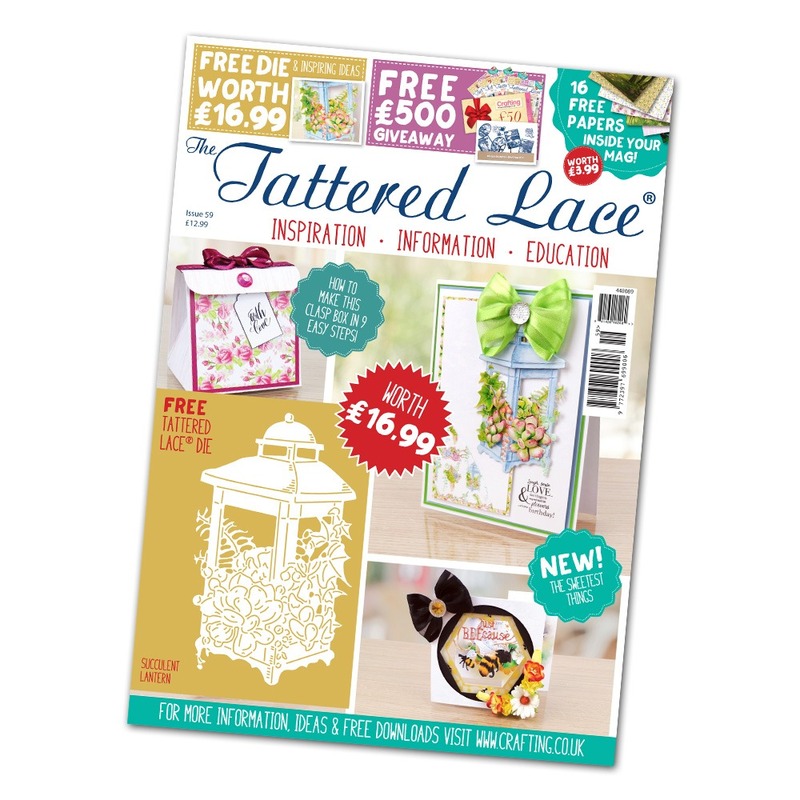 A big hello from our team to you, and welcome to Tattered Lace issue 59! We’ve got our usual bunch of gorgeous projects for you to try, but first: your free gift! For this issue we’ve brought to you the fantastic Succulent Lantern die. It’s a perfect addition to your garden-themed projects and the accompanying Charisma has such wonderful soothing pastel colours, we think you’ll love it! And don’t forget about the free colour ways to download too. 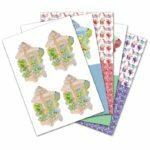 We’ve got projects made with the cool and quirky Bohemian Garden dies to express your free spirit, and soothing floral bouquets with the Garden Party dies. Look out for the charming dimensional cards made with the Symphony Just Beecause and Fuschia dies, and our features show you how to make some stunning creations with the Ballerinas die set. Check out the template and folding projects that we’ve got for you, both are so simple but produce brilliant results that we’re sure you’ll love. Fold a lovely favour bag in a small number of steps, and use our free template to create a versatile little gift bag. You can add mats and embellishments to turn it into a small handbag or purse, we’ve supplied a few ideas for you so take a look! With all of this and your FREE backing papers included as ever, you’ve got a lot to look forward to! Enjoy!